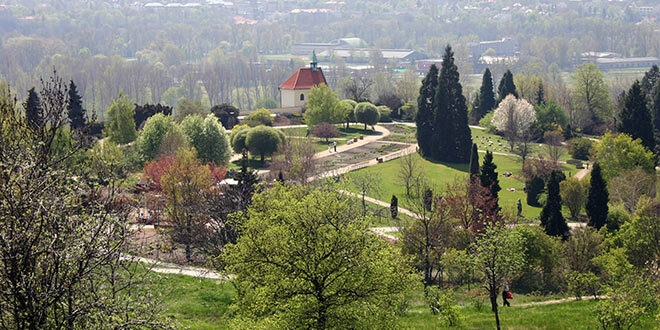 The Prague Botanic Garden was founded in 1969 but it was only meant for scientific purposes. However, today it is open to the public. The open-air exhibition takes up about 4.5 hectares. The central bed of a perennial and annual plant collection is among the most attractive parts of the garden – it blossoms in a variety of colours and shades during the summer months. A valuable collection of bulbous and tuberous plants is also worth seeing. Blooms of crowtoes, crocuses, hyacinths, bluebells and grape hyacinths adorn the garden from early March. A small alpine house, the Japanese garden, Mediterranean and Turkish plants as well as Moor plants are worth a visit. 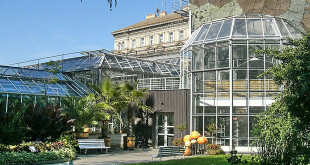 A tropical greenhouse, Fata Morgana, has been newly opened. There is also St. Claire’s vineyard with St. Claire’s Chapel, a nature park with a marked nature trail, archaeological park and children’s playground. Getting there: from metro station Nádraží Holešovice by bus 112 to stop ZOO or Bontanická zahrada.